With the invention of the bucket came new phrases for people, such as ‘a drop in the bucket’ and ‘bucket list.’ The name Buckethead belongs to the American musician Brian Patrick Carroll. The term gutbucket is a familiar one to deer hunters, but according to Google it refers to a washtub bass — a stringed instrument that uses a washtub as a resonator, and some music is sometimes referred to as ‘gutbucket’ jazz. If you dove-hunted in September, you might have sat on a bucket designed for hunters with a swivel seat, a styrofoam insert and a cloth cover with storage pockets. We use them all the time in the dove field. But such portable seats can be used for other hunting adventures. Buckets also go well with a ground blind. 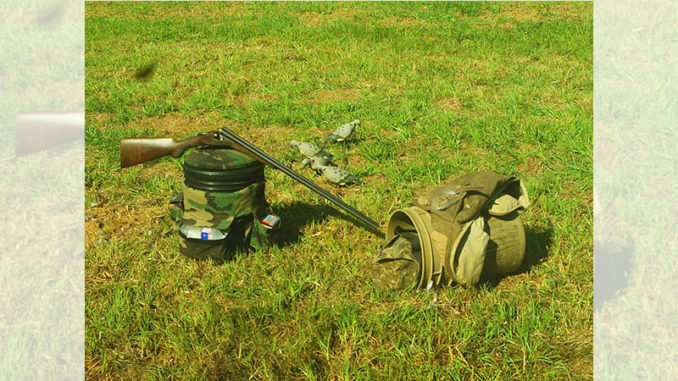 If you hunt many wildlife species, buckets are ideal to help keep your gear organized and always ready for a hunt. I use buckets all the time around the house; in fact, I am not sure I could do the work I do without buckets. For the outdoor-oriented person, buckets are essential. 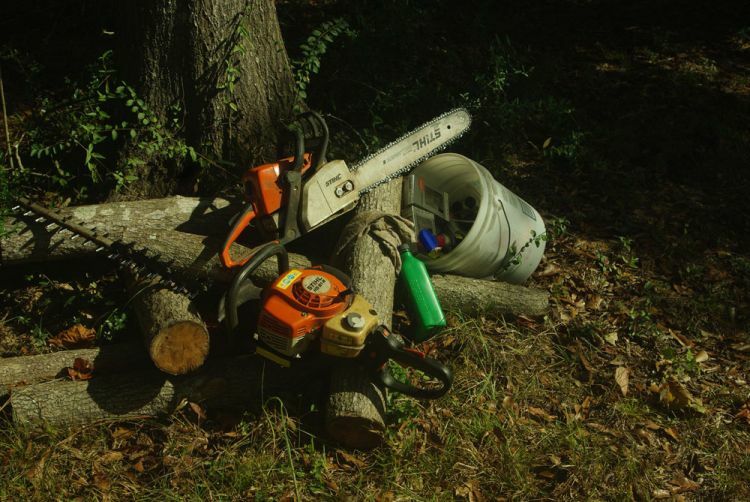 A chainsaw bucket will hold everything needed for the task at hand. In the early 80s on Pearl River WMA, we did a lot of TSI work (Timber Stand Improvement). Ironwood was the dominant tree in the understory and it pretty much shaded out sunlight, preventing the growth of desirable woody and herbaceous plants that wildlife eat. We would go into an area and simply cut the ironwood trees; occasionally we would cut a small maple, elm or oak that would sprout and provide more browse for deer. A 5-gallon bucket provided a way to carry fuel, oil, tools, drinks and food. I still have a chainsaw bucket to carry all the necessities when working on our property. A gut bucket is a must for any respectable deer camp. Wash tubs are commonly used, but a 5-gallon bucket also works. Those big plastic buckets that are used for swimming pool chemicals are usually larger than the common 5-gallon bucket and can hold more. When full, buckets can be easily loaded on a wheeler or truck for dumping at an appropriate site. But with the issue of CWD, the preferred disposal method is to bury the carcasses. A 5-gallon bucket also works well when cleaning doves and ducks and keeping the feathers from getting all over the place. Of course buckets also have been used for fish cleaning, and are great for crawfish and crab boils. When you think about it, the plastic bucket is pretty much a universal tool for outdoor and wildlife activities. I do not have a seed and fertilizer spreader for the tractor, so buckets are a must for my planting. In the old days when I was much younger, I could use a 5-gallon bucket for fertilizer and seed, but at age 66 I prefer a smaller bucket. Reed’s Metals has been giving out small black buckets for the past few years at the Sportsman Show, and these are perfect for me. A bag of fertilizer will fill three of these buckets. I throw the fertilizer out from one bucket, set it down and go get another bucket, picking up where I left off. The buckets can be easily cleaned, and won’t corrode like those handheld bag spreaders. There is no telling how many pounds of corn have been distributed from a 5-gallon bucket. We use buckets for feeding our chickens and domestic turkeys, as well as collecting rain water from the roof to fill water troughs. It is hard to imagine how I would function in this world without a bucket. 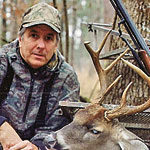 November is the hot month for Area 2 deer hunters, so check the rut schedule and hit the woods. The rut is the best chance for a hunter to connect with a mature buck because it’s solely focused on does and breeding. When the rut is on and bucks are chasing does, the best hunting technique is to sit in the stand and wait for the action. 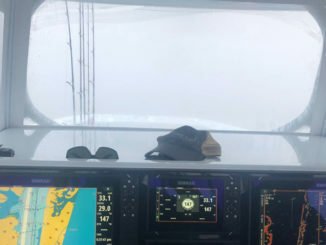 If the weather is right with a cold front moving through, simply sit tight in those areas where you have seen deer feeding or along travel corridors — and be patient. While the bucks are not feeding much, the does will still be eating, and where the does go, bucks will surely follow. So just enjoy the hunt and be ready for the action, because it can be fast and furious. 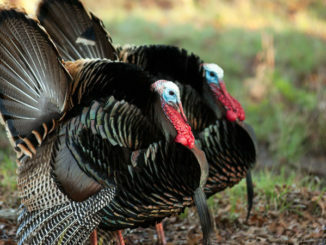 November also is the key month for managed deer hunts on public lands. 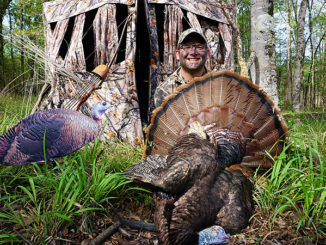 This is an excellent opportunity for a hunter to put meat in the freezer. The public lands have different season dates, so check the hunting regulations. On public lands, hunters have to wear orange hats and vests; if you are not aware of it, hunters can also wear blaze pink instead of the hunter orange — so don’t be surprised if you see pink in the woods. The Hunters for the Hungry Program is alive and well in this state. Now that the regular season is open, hunters can kill a deer and donate it to the program. This organization has contracted with processing facilities where hunters can take the carcass and the facility will clean and process it at no charge. Check out their website at www.hunters4hungrylouisiana.org, and donate a deer and share with someone in need this season. A new deer season is here — what will it bring? David Moreland is a former wildlife biologist with LDWF, having served as the State Deer Biologist for 13 years and as Chief of the Wildlife Division for three years. He and his wife Prudy live in Baton Rouge and own property in East Feliciana Parish.